Clerkenwell Design Week, UK’s leading independent design festival, starts today and goes until the 23rd of May, in the great city of London. This event takes place every year, showcasing a wide array of design brands and products, as well as big names from the architectural and creativity worlds, always with a progressive intent, focused on innovation and development. It is considered to be one of the best design events in the world, performing up to par with the reputation of Clerkenwell as a top design city, with a cluster of creative businesses and more than 60 showrooms. During the event, besides the exhibitions and showrooms, visitors and artists alike will have the opportunity to enjoy a full programme of workshops, presentations, new launches and debates. Paul Case Furniture creates beautiful contemporary furniture since 2006, with a growing reputation of quality and originality, supported by the skills and crafts of a specialized team. They develop bespoke furniture, always respecting the needs of their clients, with a top notch customer service. Herman Miller works to benefit our world, creating and innovating on design, new technologies and related services, to improve human experience in all different environments. With a large network of customer relationship on every continent, they are one of the biggest design companies in the world. They offer services in the areas of furniture management, strategic facilities consulting and leasing, and products for office, healthcare and institutional structures. They work towards constant change and evolution, both in the design world and in people’s world. BRABBU, a furniture brand from Portugal, gets the inspiration in the cultures of this world and in the forces of nature. They offer a diverse range of furniture to provide a complete and full interior design solution. They translate their inspirations into their pieces through the materials, textures and colours. 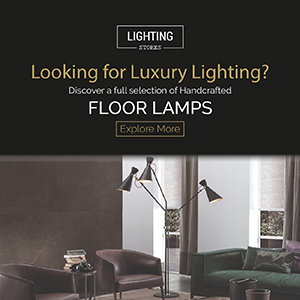 They count with highly specialized craftsmen and an innovative team of designers to create beautiful pieces, with innovative techniques and the best materials for your confort and to fit your household needs. Founded in 1983, Boss Design is a market leader in the UK seating industry and a major player on the international scene. They search innovation in product design, and their growth has been stable each year. Their goal is to provide quality in product and customer service, while offering a broad choice of solutions. This exhibitors and showrooms will certainly be a success at this years’ Clerkenwell Design Week! bestinteriordesigners.eu Thanks for the collaboration!